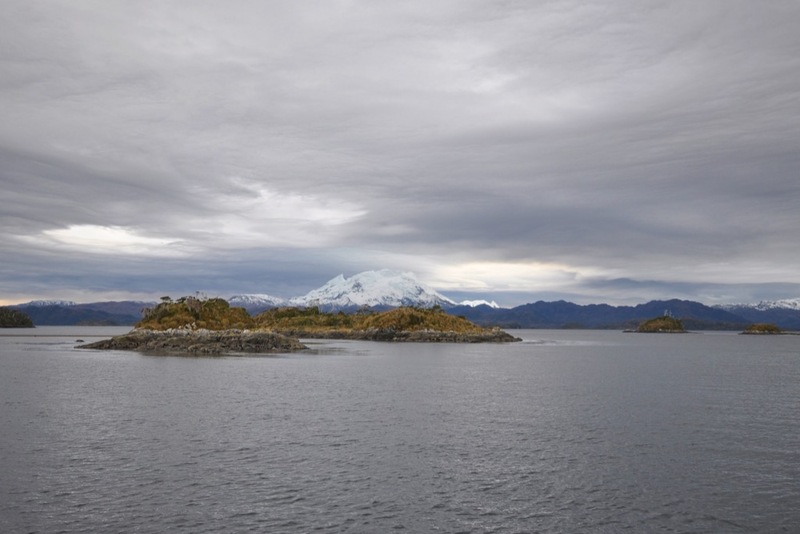 From the Straits of Magellan we followed our heroes north into the Smyth Channel. More specifically, we were now sailing in the wake of the schooner Adelaide and one Lieutenant Skyring. When their Lordships of the Admiralty despatched Phillip Parker-King, in 1826, to survey the southern half of South America, they sent him forth in a three-masted ship. The Adventure‘s consort – the famous Beagle – was also square-rigged. Majestic as these vessels undoubtedly were, they cannot have been very weatherly – because no square-rigged ship is weatherly. The Adventure, in particular, must have been a rather cumbersome creature, for she was designed as a load-carrying transport ship. 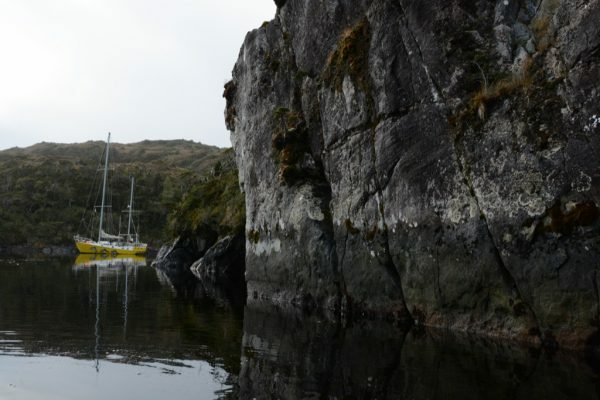 Mollymawk beating up a narrow Chilean channel. This is the sort of thing that you can’t do in a square-rigger. 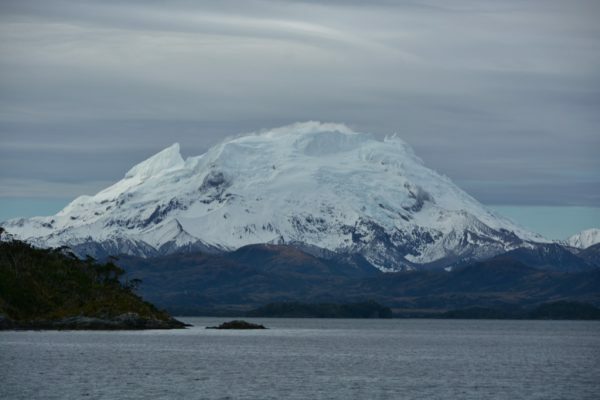 Arriving in Tierra del Fuego, Parker-King anchored his command in Puerto Hambre, lowered her topmasts, and laid her up for the duration. He was not new to surveying; his first commission had been to explore and chart the coast of Australia (which happened to be the land of his birth). 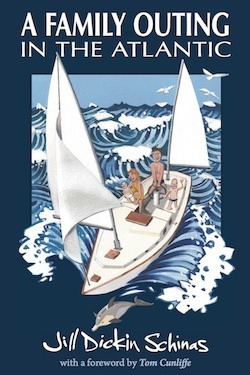 He well knew that the job could be much more easily done with the use of a small boat, and to that end he had ensured that the Adventure and the Beagle each carried three or four whaleboats and cutters, some stacked on deck and the others hung over either side and from the stern. Even so, after a year on the job – and having lost one of the boats and three of his men – the commander saw that there were times when the use of a small open vessel was simply too hazardous. What he needed was a halfway house, as it were. He needed a craft which was handy enough to negotiate the narrow channels but which was also capable of surviving in these seas. On returning north to Rio de Janeiro in order to refit the ships, Parker-King contacted the Lord High Admiral and asked permission to buy a fore-and-aft rigged vessel; and when permission was eventually given he bought a schooner. Credited in the subsequent account of the voyage as merely “a tender to the Adventure”, the Adelaide doesn’t merit a description – we are not even told her length – and certainly she was not considered to be an equal partner in the undertaking. Yet, for all this, the Adelaide was a crucial member of the team – and so was William Skyring. It was Skyring who got the Beagle back from the Golfo de Penas to the Straits of Magellan after Pringle Stokes cracked up. 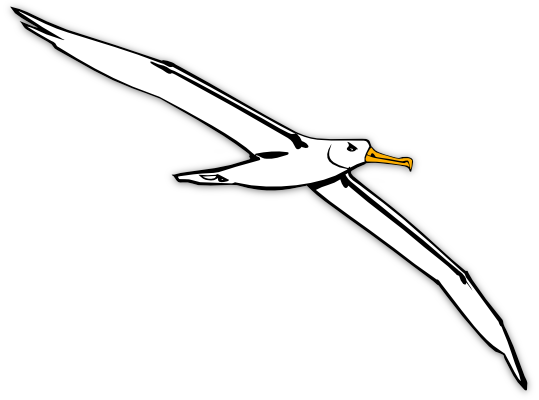 It was Skyring, aboard the Adelaide, who subsequently surveyed the channels which lead between the Magellan Strait and the Beagle Channel. And it was Skyring and the Adelaide, once again, who explored and charted the narrow channels leading north from the Magellan to the Golfo de Penas. 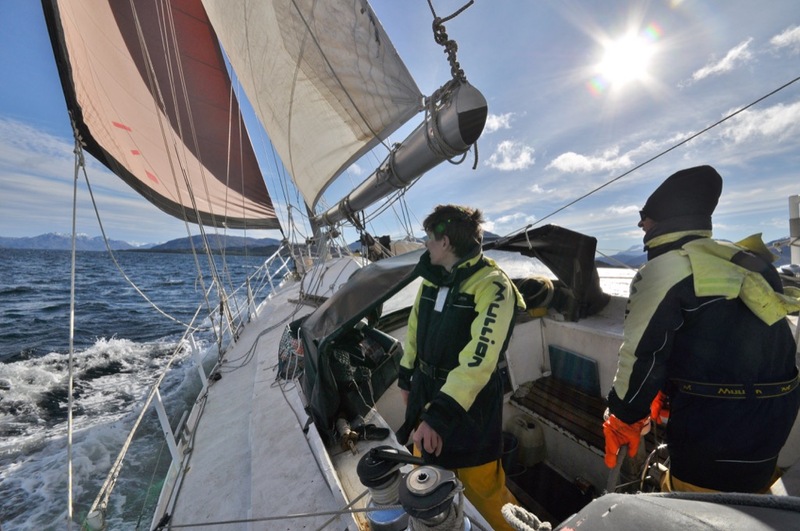 It was in this last endeavour that we now followed the two of them as we journeyed on our way towards Chiloe. 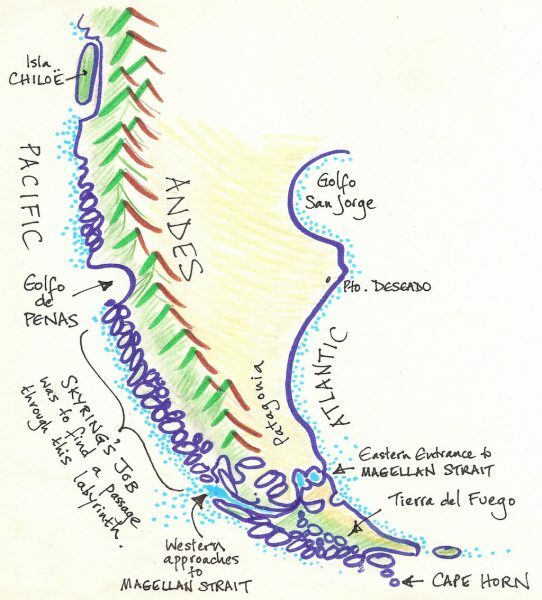 In their brief to Parker-King, the lords of the British Admiralty had instructed him to make “an accurate survey” from the southern entrance of the River Plate all the way round to Chilóe, examining the various intervening coasts, islands, and straits. The idea was to discover any harbours which might be of use to British shipping and, if possible, to come up with a route which would enable vessels to avoid the dangers inherent in a passage round the Horn. “You are to continue on this service until it shall be completed,” their Lordships told Parker-King – but they can have had no idea what they were asking. Unbeknownst to anyone but the indians who inhabited the region, the Pacific coast of southern South America is a fantastic labyrinth of narrow channels which wind their way amongst thousands of lofty islands and rocky islets. Check it out on the Google satellite image and you’ll see what I mean. If he had taken them at their word, Philip Parker-King would surely have been here till his dying day! Quite obviously, neither the Adventure nor the Beagle was going to be able to explore this tangled mess; and the whaleboats couldn’t travel more than a week’s-worth of miles away from the ship, because they couldn’t carry enough food. Hence, the purchase of the gaff-rigged schooner. She carried a crew of from five to ten plus up to six officers, as compared to the Beagle‘s twelve officers, forty seamen, and ten marines. The Beagle was 90ft long, and on that basis I’d be surprised if the Adelaide was very much longer than Mollymawk. And Mollymawk, for what it is worth, was originally conceived as a gaff schooner. All in all, following in the wake of the Adelaide, we felt that we were sailing with one of our own kind. The Adelaide could slip into places such as this quiet nook, a few miles up the Smyth Channel. We learnt about it through reading Edward Allcard’s latest book. 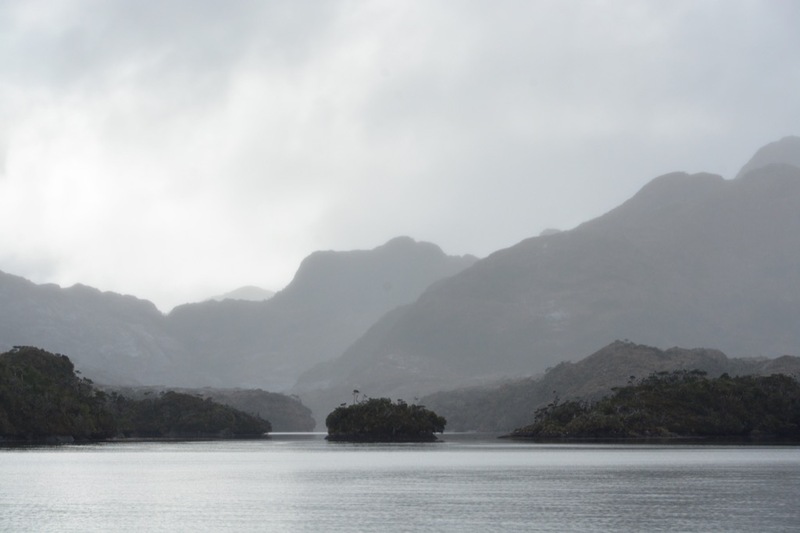 On 1st July 1829, the Beagle set out from the Strait, intent on following the ocean high road which the Adventure had already embarked upon, to Chiloe. 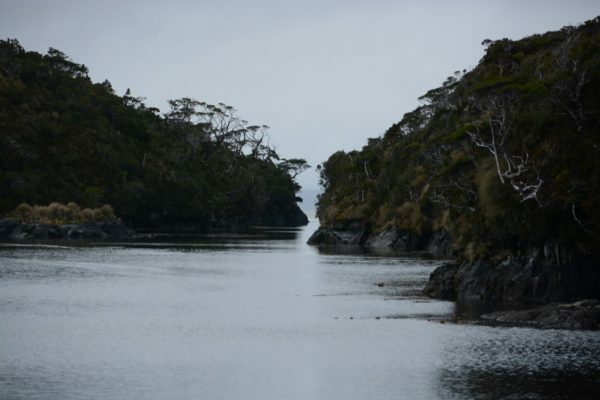 And the Adelaide, after her crew had waved adieu to their companions, began nosing her way into the maze of channels on the north side of the Strait, in search of that safe inshore passage. Having spent a day or two exploring dead-ends, the Adelaide eventually hit upon a promising channel which Skyring named for one Admiral Smyth, a man under whom he had recently served and whom he presumably wanted to impress. They passed an islet, lying in the middle of the channel, which he called Fairway; and then they pulled to the side and spent the night in a deep bay which was named accordingly. Nowadays the place is known to us as Puerto Profundo. Of course, Skyring could never have anticipated that his most ardent fans would be travelling in boats even smaller than his command. And the Admiralty, for their part, seem not to have had the foresight to envisage a day when steam-driven vessels would make use of the work which they had commissioned. Intent on being of service only to the bulky, unwieldy merchant ships of his acquaintance, Skyring didn’t waste his time exploring any nooks and crannies. Such treasures have been left for us to find for ourselves. Whenever the way ahead seemed doubtful, Skyring anchored the Adelaide and sent the boats to explore. This saved the company from having to beat up channels which turned out to be dead ends, but it didn’t always keep them from getting themselves into trouble. This broad sheet of water, for example, hides a shoal which now carries the schooner’s name. 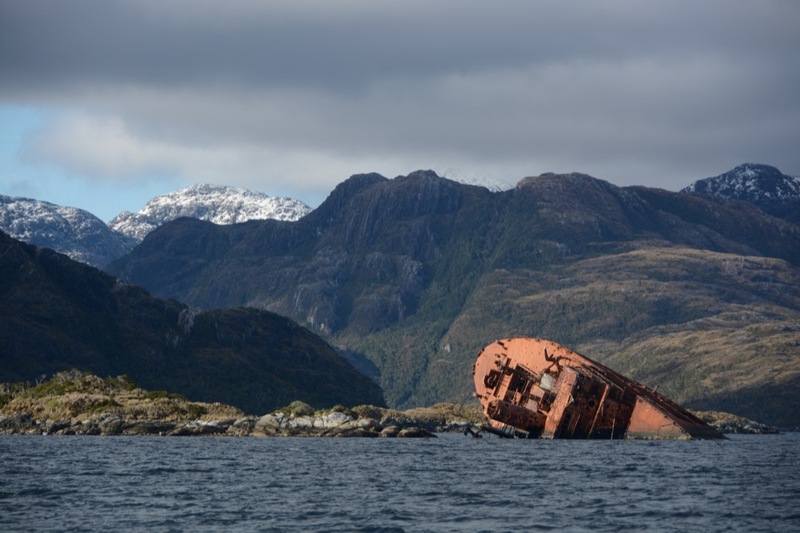 After inadvertently locating the shoal with her keel, the Adelaide was got off “without injury” – which is more than can be said for this old lady. It was quite a shock to come round the corner and find this massive steamer lying here, on her side. Either someone made a very big mistake or else, more probably, she was carried onto the Adelaide Shoal when her engine quit. It was sobering to think that, but for Skyring’s skill – and but for a measure of good luck – he and his men might easily have ended their days here, for had their ship stuck fast there would have been no one who knew where to look for them. They were truly all alone on their ground-breaking mission. … and looked across at a marvellous snowy mountain which they christened Mount Burney. It looks like a beautifully iced cake which someone has dropped. 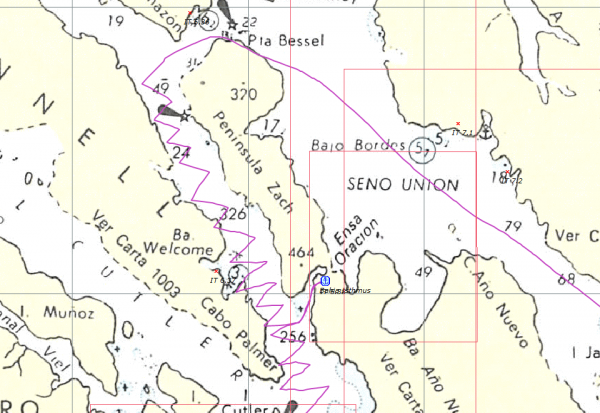 Burney was a British admiral who had sought to draw a chart of this area – without ever having seen it. 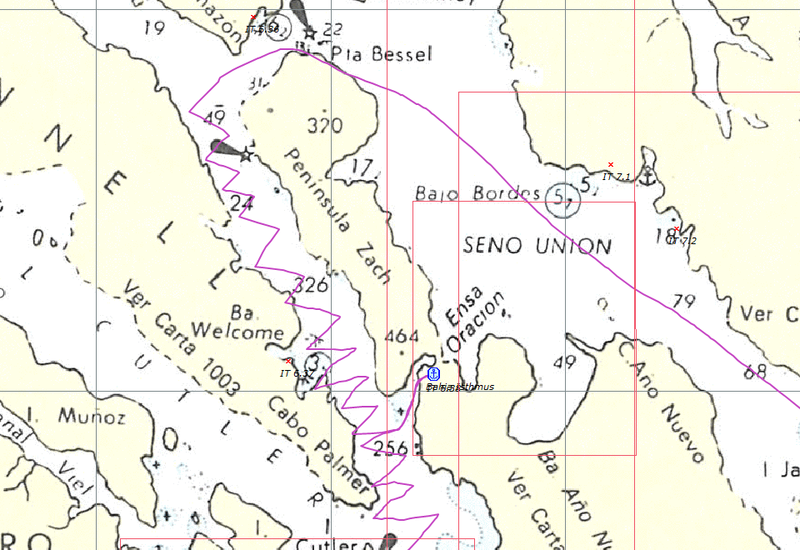 He used the descriptions given by our old friend Sarmiento, who ventured into these channels while searching for the entrance to the Magellan Strait. Of course, we were one up on ye olde Adelaide and her merry men inasmuch as we had an engine to power us along when the wind failed, but when it blew our only recourse was to Caesar’s muscles. On one particular day he had to sheet in the genoa twenty-four times, our tacks were so short. Still, it was a good sail, under a sunshiney sky. On the following day it was Nick’s turn to do the donkey work while Caesar helmed. As we worked our way north up the narrow channel – with me keeping one eye on my concoctions in the galley and the other on the echo-sounder – the sky clouded over and the wind rose. There’s not much other traffic in the channels, and so we were surprised to look over our shoulders and see a big red boat coming up astern. And as she got closer we saw that she was flying the old red duster! She proved to be HMS Protector, a vessel which spends the southern summer in Antarctica. While we were privately celebrating the Great British Survey of these waters by Lieutenant Skyring and the little old HMS Adelaide, the officers of that much more sturdy and modern vessel were commemorating the centenary of Shackleton’s adventures in the south and his rescue by the Chilean navy. Not that we learnt this from Protector. We only found out afterwards by searching for the name online. We called them up to say, “What-ho?” and “Wither bound?” and “Is the Queen still on the throne?” and so forth, but they were surprisingly non-communicative. Bearing in mind that we had just been hit by a squall, and were frantically wrestling a reef into the mainsail, you’d think they might have wanted to just check that all was well aboard this Great British yacht; after all, they do work for us, you know, those Navy chaps… But they stormed off hurriedly. Meanwhile, a Chilean fishing boat which happened to be passing in the opposite direction at the same instant detoured to ask us if we wanted any crabs…! The old genoa had also just chosen this moment to burst a seam. It was crazy half hour. We spent that night in a cove which is marked on the charts as Bahia Isthmus, although its innermost reaches were named, by Skyring, Artist’s Cove. I’m not sure how this appellation has been lost or overlooked, but it ought really to be restored. Isthmus is one of these places which has been used by sailors since time immemorial – or at any rate, since Skyring found the place – and according to our old chart, there’s a tree in the outer anchorage where visitors are accustomed to nail their messages. Bahia Isthmus is more justly famous for the fact that it lies on one side of a long thin peninsula whose other side can be reached in just ten minutes – but not by boat. Not unless you have the sort of boat that the indians used to use, which can be portaged across the swampy ground. When Edward Allcard called here in 1965, the causeway was still in good repair, but the indians are now long gone and so too their logs. We had to squelch our way across in our wellies. “Maybe I’ll just wait for you here,” said Roxanne, when we reached the opposite shore – but it would have been a cold, wet wait. On the following day it took us six hours and twenty more tacks to beat the ten miles up the narrow wind-funnel to the head of Peninsula Zach – and we reckoned that was actually pretty good going. Others, such as Bill Tilman, have been unable to make up at all and have had to spend time in anchorages along the way. Then, after we’d climbed the mountain, so to speak, we threw it all away and came whistling down the other side with that same wind bowling us along at eight knots. 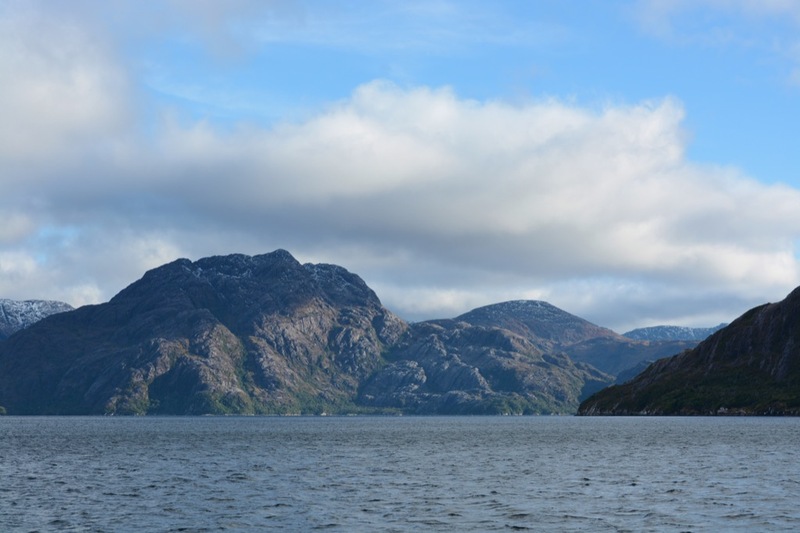 Within a couple of hours we were back were we started, off the isthmus – albeit we were now a mile to the east. But why did we throw away all that hard won windward advantage, you may ask? For the answer to that question you’ll have to return next week and read about The Detour. Regarding the wreck in the Smyth Channel, I thought you might be interested in this item ? The Santa Leonor, formerly USS Riverside, USS Riverside (APA-102) was a Bayfield-class attack transport. During World War II, she was tasked to deliver troops to the battle front, and to recover and care for the wounded. She served in the Pacific Ocean in the war against the Empire of Japan. Riverside arrived at Norfolk, Virginia, on 5 March. 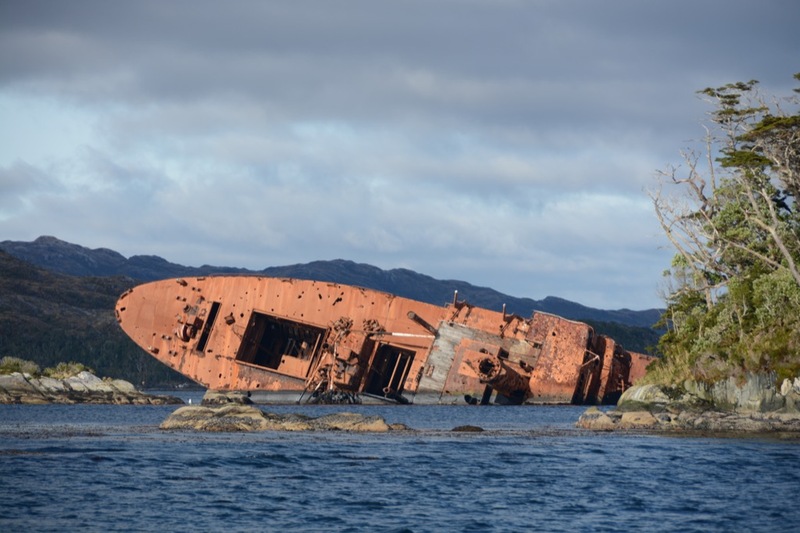 Decommissioned on 27 April, she was redelivered to the Maritime Commission’s War Shipping Administration on the 28th. Her name was struck from the Navy list on 8 May 1946, and she was sold to Pacific Argentina Brazil lines (P&T) in December 1948, renamed SS P&T Forester. She was sold to Moore McCormack Lines Inc. in March, 1957, renamed SS Mormacwave and sold for the final time to Grace Lines Inc. in August, 1966, renamed SS Santa Leonor. She was wrecked on 31 March 1968 on Isabel Island, in the Smyth Channel where her partially submerged wreck remains.